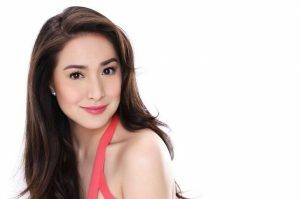 Cristine Reyes was born Ara Marie Cristine Reyes on February 5, 1989 in Marikina City, Metro Manila, Philippines, the daughter of Venus Imperial and Romeo Reyes. She is a Filipina actress, known as one of the contestants of the reality talent search StarStruck on GMA 7. She top billed the title character Eva Fonda, which hailed her as one of the most promising dramatic actresses of her generation. She has been married to Ali Khatibi since January 27, 2016. They have a daughter, Amarah Cristine Reyes. *She competed on the reality television program StarStruck in 2003. *She prefers to receive books than flowers or stuffed toys. *Connect with Cristine on Facebook.